Allowing your GT-R to transfer weight smoothly during a launch is the trick to not shocking the tires into wheel spin. When you choose the Alpha Performance R35 GT-R Drag Suspension Package, it allows the rear end of your GT-R to squat further at a controlled rate during a launch – improving traction and laying more power to the ground. 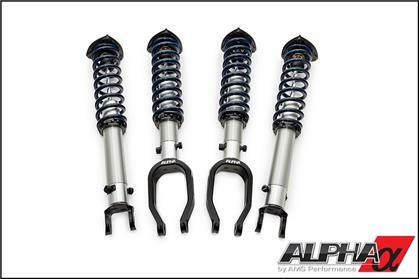 The result you get from this suspension package is consistent and improved 60ft times as well as lower ET’s. In some cases of extreme power levels, you may lift the front wheels off the ground as the suspension works so well! 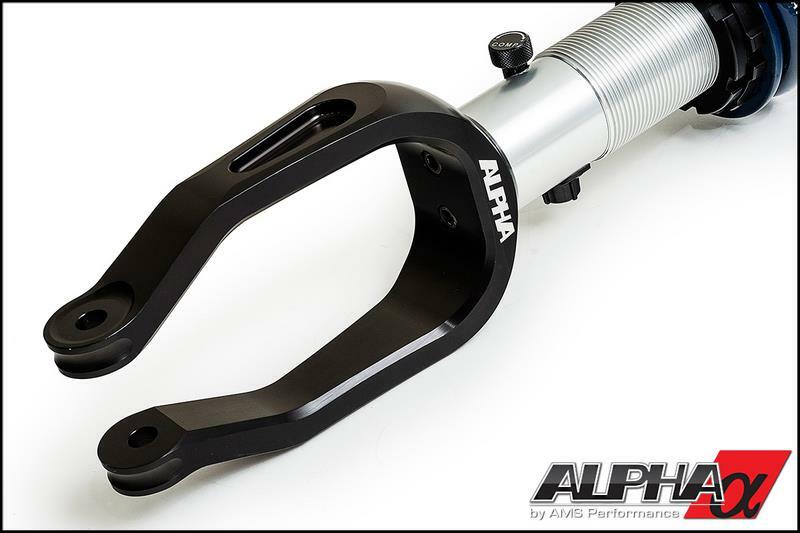 The Alpha Drag Suspension is designed to work with softer drag radials and slicks allowing them to perform the way they were intended to. Many factors come into play when adjusting your suspension for an ideal launch. When considering track conditions, your power level, tires and even the slightest differences in your vehicle’s weight and weight distribution – advanced damping controls mean everything! 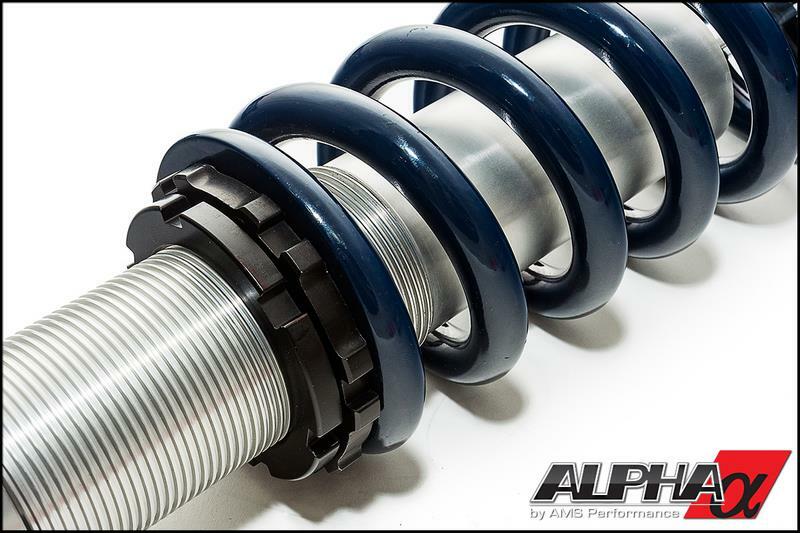 That’s why the Alpha Performance R35 GT-R Drag Suspension provides a more usable range of adjustability than any other drag suspension on the market. With it, you have the benefit of adjusting both compression and rebound on your GT-R with double adjustable damping controls in addition to preload/ride height. Since our compression/rebound dials and ride height controls are located down low, they are easily accessible unlike some drag suspensions where you need to remove the rear seats, rear console, subwoofer and seatbelts to reach a single top-mounted dial. This saves you time, labor and loads of frustration at the track. It also allows you to set your suspension at the track and reset it when you leave. Front shocks are designed for maximum droop travel. 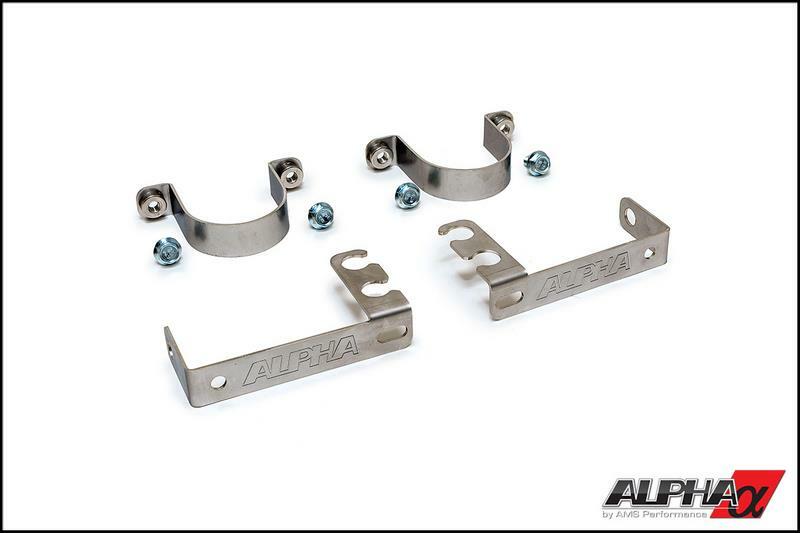 This allows your GT-R to rotate and transfer weight smoothly with less shock to the tires. It helps to eliminate any break or loss in traction. The soft, drag race specific valving and spring rates found in our drag suspension will also drastically reduce wheel hop. By reducing wheel hop, you are also significantly reducing wear and stress on your transmission and other drivetrain components. When the high level of power and torque from your GT-R is being applied to the ground during a full out launch on stock or road race suspensions, wheel hop often occurs due to its tight compression rates. When this violent shaking occurs it wreaks havoc on your $20,000+ GR6 transmission! 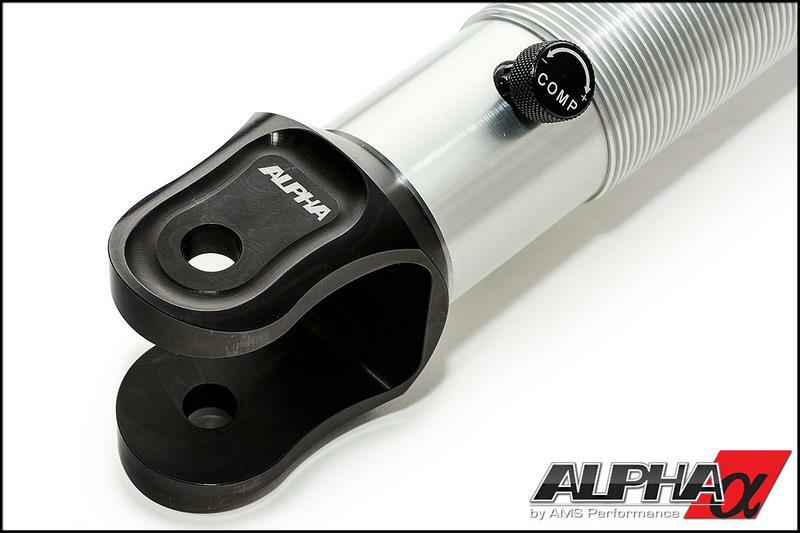 In addition, it subjects your axles, differentials and other drivetrain components to abuse – all of which can be significantly reduced with the Alpha Drag Suspension Package. Considering all the advantages this suspension package offers for straight-line acceleration, most drag racers would agree, it’s a track upgrade that shouldn’t be overlooked when making higher-than-stock horsepower and torque. 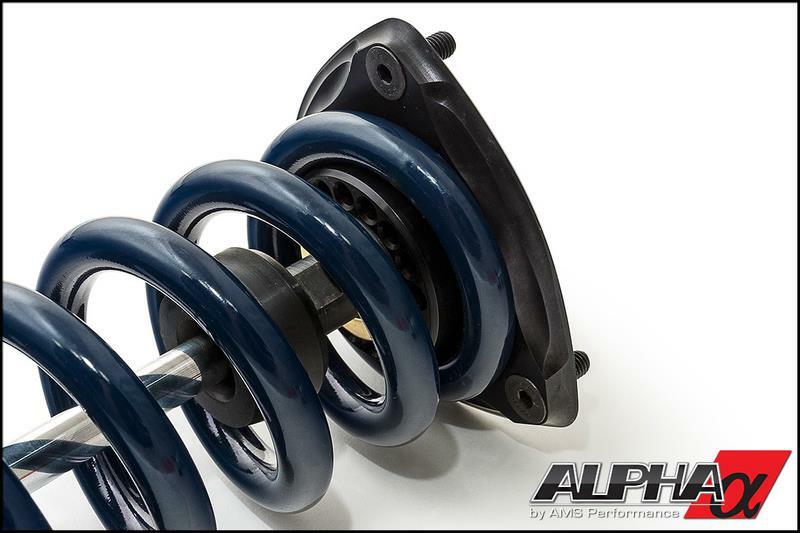 This is the same suspension found on our test bed Alpha Omega – the world’s quickest and fastest GT-R.
Reduce overall suspension weight by 15lbs.